Sports betting has always been one of the most popular forms of gambling. Millions of people around the world are involved in gambling using sports betting apps and websites. With the digitization sports betting industry is drastically changing the core. Now people can bet without flying across the border and can enjoy the live feed in the convenience of their home. Digitalization bringing people convenience they look for and generating higher revenue by developing sports betting website, sports betting applications and sports betting software for businesses. Discover the Virtual world of sports betting and enjoy one of the most popular game horse racing. 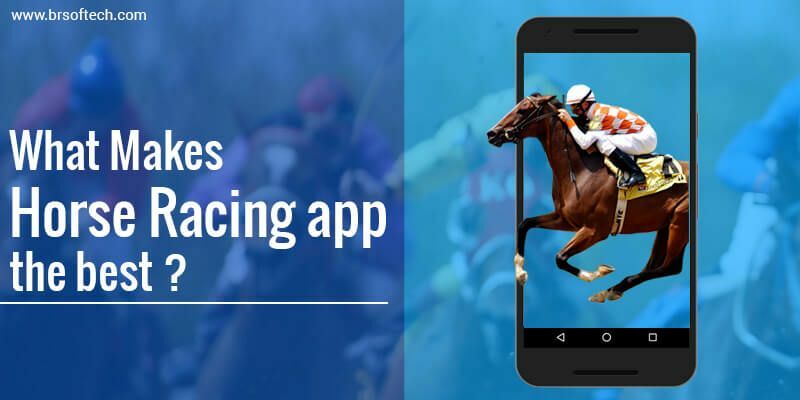 Using horse racing betting app you can browse the latest racing news, Indian horse race odds, get tips and updated racing date information. Horse racing betting app ever-growing popularity has grabbed the attention of millions and considered to be the best form of gambling. There are mainly two types of horse racing bets. Straight Wagers is good for beginners, it’s a whole new experience for those who have never gambled in horse racing. It’s entirely different from sitting in the smoky casino and placing the bet. Horse racing is a lot more entertaining than you can imagine. With Straight Wagers, you can only bet on one horse. Win: – Win is for those who are placing their bets on the horse who will come first. If the horse you bet on, comes first you get to collect the win amount. Place: – If you are betting on your horse to “Place” that means if your horse comes first or second you will get payout although the payout will be lesser as compared to Win amount. Show: – Using this option, your horse can come first, second, or third. This option increases the winning probability and provides with a higher chance of winning. Across the Board: – Across the board, Betting is also known as combo straight wagers as it offers a combined bet of Win, place, and show. This three in one best option is a bit expensive as compared to Win, place, and show and have less profit potential. Place/Show Win/Place: – In Place and Show if your horse comes second you collect the place and show both betting amount, and If the horse finishes third you only get the show betting amount. Same way if you place a bet on Win and Place both and if your horse wins you get both win and place amount and if your horse comes second then you only get to collect Place money. Exotic Wagers allow you to bet on multiple horses in a single bet. By placing the bet on exotic wagers, you increase profit potential. Exotic Wagers are much harder to win than straight bets and require greater skills in horse racing handicapping. Exacta: – Exacta is also known as Perfecta and Exactor. In exacta, better picks two horses to finish in the first and second place position which is win and place in exact order. To win the betting amount both horses must finish in the chosen order. Quinella: – Quinella betting allows you to bet on two horses to come in any order. In Quinella betting, the payoff will not get impacted regardless in whichever order they come in. Trifecta: – To place the trifecta bet one must choose three horses. All three horses that you believe will finish first, second and third must finish the race in the same order. If the horses finish the race in the same order you will win the bet. Superfecta: – Superfecta allows you to choose horses and finish the race in exact order. It gives you the chance to choose four horses that will finish the race in First, second, third, fourth in the exact same order you have selected. The minimum bet in Superfecta is 10 cents, which make it more lucrative. Understand both the types of horse racing and place the bet wisely. One of the most efficient ways to place the bet is by getting familiar with reading the race day program and look closely what class level the horse has been racing at. You can choose from top horse racing betting sites like Betfair and 888Sport and enjoy the extensive range of international horse racing. App Functionality: – Horse betting app must include search features and give users access to find things they are looking for. It must have social networking capabilities with less keyword and more touch based. Give users the option of freedom of expression. App Design: – Attract the audience by providing them with innovative and attractive app design. The design must be unique and lucrative for end viewers and allow them to best and enjoy live streaming. App Services: – Service is the key part of any app and website, hence wisely choose the services you are going to provide your customer and stay ahead in the competition. App Developing Team: – Development team is the heart and soul of the app. Make sure to develop your sports betting app by expert developers who can bring life to the app. Security: – No one wants to invest where risk is involved, hence, provides the customer with the unbreakable security. Betting odds: – Make sure to reflect the correct information about the team and their performance. Gambling is all about information, hence, your source of information should be correct. Multi-language: – Betting is loved by all the people around the world, therefore, to make your app worldwide popular add various languages. This option allows people to indulge in gambling and make the most of it. Live Game Streaming: – Provide live game streaming and make your app go-to-app for users for greater user experience. Live game streaming helps people to gamble and enjoy the game as per their convenience. What Makes Horse Racing App the Best? Horse racing betting app allows you to make the informed decision about which horse to back in a race and then place a bet simply by tapping the horse racing odds on the race card. Using horse racing betting app you can enjoy the live streaming and make the full use of our online betting software. Our horse racing betting app is compatible with all the mobile device and works well on Android and IOS both the platforms. It’s visually stimulating and provides with best gambling experience. 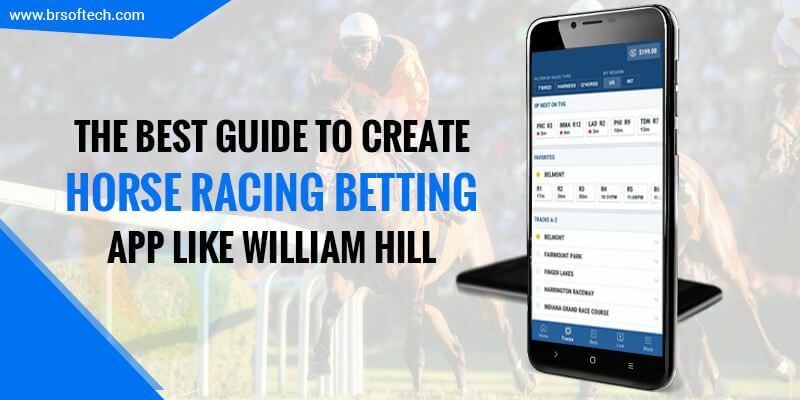 As we all know William Hill is one of the most popular horse racing betting app. It has the groundbreaking download record of 200,000 downloads with outstanding feedback. If you wish to develop an alike horse racing betting app, then you are at the right place. We at BR Softech offers a wide array of betting on horse racing and daily fantasy sports. We provide with an accessible platform to join the real-time betting game matches. Horse racing is one of the most popular sports in India. Thousands of people enjoy betting and look for the best horse racing betting systems. It has been a part of our culture for ages. The popularity of betting taking sportsbook software development on the next level and making it more lucrative. This exciting game allows sports betting platform providers to work really hard and provide with high-quality horse betting software with easy deposits and currency options. This 200-year-old sport is now available on smartphones and the website. The first racecourse was set up in Madras in 1777 and since then its popularity has touched the sky. Bangalore, Hyderabad, Maharashtra, Delhi all is running horse racing programs and making its presence all over India. With the rise of mobile phone users, bookie software is available in just a few clicks and providing live streaming. Horse Racing Legality In India? In 1996, the Supreme court of India has declared that the horse racing is not only based on luck but it is also based on skills. This announcement has attracted betters and horse racers towards it and this game has become immensely popular. Before independence also, while observing the craze and attraction of the players towards horse racing the two acts have been passed. In 1888 and 1930 Police Act and gaming act respectively declares that the horse gambling activity doesn’t count under the illegal activity. These two acts have been completely states that the horse racing betting activity is totally legal, but still people are in misconception and assume that the horse gambling activity is illegal by the government. 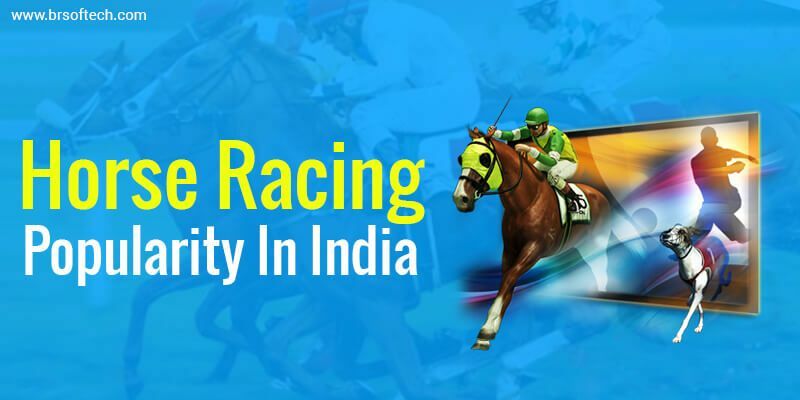 The Turf Authorities – a regulatory body of India manages nine racecourses in India and it also organizes various horse racing events., pari-mutuel betting booths, and trackside bookmakers. BR Softech is one of the leading App Development Company. We offer extensive horse race betting software with a comprehensive range of features. Horse racing software systems include many lucrative features and allow people to enjoy the benefits of this app. Not just that we offer, Soccer, Football, and cricket betting software for bookies all over India and around the world. This sportsbook software development allows people to experience great horse races, high odds, and live streaming of all the different races. If you are a fan of horse racing and wants to develop a Horse racing software then you are in the right place.